MainAll NewsEuropeWhat are Europe's synagogues currently being used as? 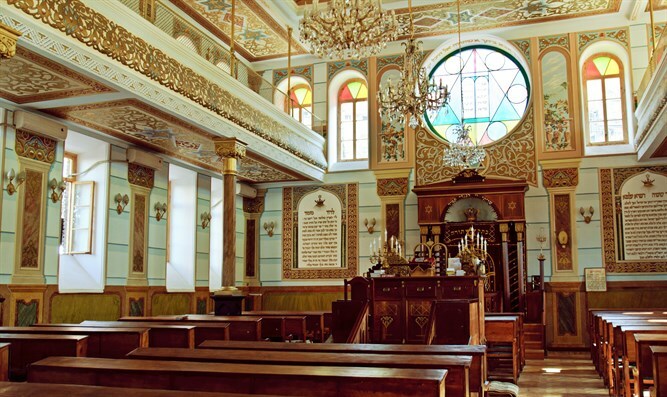 What are Europe's synagogues currently being used as? New map shows locations of thousands of synagogues - as well as the current, and surprising, use of those buildings. Over three thousand historic synagogues are still standing in Russia and Europe, but over 75% of them no longer serve their original purpose. Prior to World War II, there were 17,000 synagogues in Russia and Europe. Today, only 850 of those remain in use as houses of prayer. A new interactive map from the Foundation for Jewish Heritage shows the locations of 3,318 buildings constructed as synagogues, and allows users to filter the results to see only those currently serving as synagogues. Other filters allow users to view which synagogues were turned into sports arenas, bathhouses, police stations, restaurants, and more. Several synagogues in England, Holland, and Bulgaria were turned into mosques, and one English synagogue was turned into a Sikh house of prayer. A synagogue in Poznań, Poland, currently serves as a swimming pool, and seven synagogues in Ukraine, Poland, and Germany are now used as banks. Other synagogues serve as storerooms or firefighting stations. The map also includes synagogues which existed in Spain before the Inquisition. Only four of those buildings currently serve as synagogues. Founded in 2015, the Foundation for Jewish Heritage aims to preserve European synagogues. The map aims, among other things, to help potential donors decide where to invest in renovating or preserving historical synagogues. Approximately 160 of the synagogues have deteriorated to where it will not be possible to preserve them if the money to do so does not appear soon.